Farmers are unhappy with the lack of adequate government support and are likely to make it difficult for the BJP to return to power, especially in Rajasthan. New Delhi: On October 25, while addressing a rally in Jhalawar, Rajasthan, Rahul Gandhi spoke about garlic prices hitting rock-bottom in the region. Prices had fallen to Rs 2 a kilogram, he said. In Madhya Pradesh too, Gandhi spoke about falling garlic prices. In fact, he began the poll campaign in June from Mandsaur, which saw a massive farmer’s agitation in 2017 in which six farmers lost their lives to police firing. Garlic selling at Rs 1-2 a kilogram was one of the triggers for the Mandsaur agitation. Until recently, garlic was a major cash crop in the Malwa region in western Madhya Pradesh and Hadoti region in eastern Rajasthan. The two regions account for about 45% of India’s total garlic production. In the 2016 season, farmers growing garlic could fetch prices as high as Rs 100 a kilogram, according to data from the government’s price information network, Agmarknet. “Garlic was like a golden crop for farmers in this region. High-quality garlic could even get prices of Rs 13,000 a quintal (Rs 130 a kilogram). A lot of farmers would grow it as insurance because we could recover money that we lost in other crops,” said Sunil Rawal, a farmer in Kota. However, things changed drastically after the November 2016 note ban, according to farmers in the region. “After demonetisation, prices of all crops crashed. Garlic was one of them. However, its price never really recovered,” said Dilip Patidar, a farmer who grows garlic in Mandsaur. After demonetisation, in March 2017, when garlic harvest started arriving in the markets, it sold at prices which were much lower than what farmers expected. Prices in the Mandsaur mandi, one of the major markets for the garlic crop, fell to around Rs 40 a kilogram ­– a 60% drop from the Rs 100 a kilogram that garlic sold for a year prior. By June, prices had fallen even further to Rs 30 a kilogram. In Rajasthan’s Kota, another major producer of garlic, prices had dropped to Rs 25 a kilogram in July. In September, prices fell to Rs 20 a kilogram. “We were unable to recover even our cost of production which is around Rs 3,000 a quintal (Rs 30 a kilogram),” said Rawal. Things were to get even worse. The area under garlic in both Madhya Pradesh and Rajasthan grew between 2016-17 and 2017-18. In Madhya Pradesh, it increased from 92,000 hectare to 1.28 lakh hectare. The increase was even more substantial in Rajasthan ­– from 69,000 hectare to 1.32 lakh hectare. The result was a production glut. Prices crashed. By May 2018, prices in Mandsaur had fallen to as low as Re 1 a kilogram. In March when garlic harvest started coming into the markets, prices were around Rs 20 a kilogram. “Last month, I sold at Rs 2,000 per quintal (Rs 20 per kilogram) and last week at Rs 100 per quintal (Re 1 per kilogram),” Ramayan Singh, a garlic farmer in Mandsaur district, told The Wire in mid-May. Farmers were unable to recover even the cost of cutting the crop. “The cost of cutting is much higher than the price we were getting in the market,” said Rawal in Kota. The government in Madhya Pradesh recognised the problem that garlic farmers faced and included garlic in its flagship Bhavantar Bhugtan Yojana, under which the government pays the difference between a pre-determined minimum price and the price fetched by the farmer in the mandi – in theory. The government, however, announced a set of conditions which made garlic’s inclusion in Bhavantar futile. For example, a minimum price of Rs 32 a kilogram – but with the condition that if a farmer sold his produce at less than Rs 16 a kilogram, he would not be able to benefit from the scheme. Data from the government’s own portal, Agmarknet shows that prices were below Rs 16 per kilogram in most major mandis for the better part of the season. “It was completely useless. They knew that the prices were below Rs 16 a kilogram. Then why did they set this condition? I sold garlic at an average of Rs 8 per kilogram through the season. I could not benefit from Bhavantar,” said Patidar. The Rajasthan government announced its own measure in April. The state would procure 1.54 lakh metric tonnes of garlic under the Centre’s market intervention scheme (MIS) at Rs 32 a kilogram. It procured less than half of its target – around 70,000 metric tonnes. “They procured nothing. They are lying. There were very few procurement centres. Even those operated for very little time. And those procurement centres also shut down in May. Since then there has been no procurement,” said Rawal. In June, Aabshar H. Quazi of Hindustan Times reported that five farmers had committed suicide in and around Kota owing to the crash in garlic prices. Satyanarayan Singh, convenor of the Rajasthan Kisan Mahapanchayat – who is based in Kota – contends that the number of farmers who committed suicide in the Hadoti region of Rajasthan was much higher than the five that were reported. “Those five are the cases where FIRs were registered. Most families did not register FIRs because they were put under pressure. The number of suicides this year is much higher. There are around 150 cases,” he said. The Rajasthan Kisan Mahapanchayat and several other farmer organisations have organised protests demanding that the government procure the garlic produce, as promised. “We have been staging protests. But this government simply does not care. They have nothing for the farmers and they will be voted out,” said Singh. Rajiv Gupta, a political analyst based in Jaipur agrees with Singh and believes that the BJP will find it difficult to return to power in Rajasthan. “And rural distress is going to play a major role. I have travelled and spoken to a lot of people recently and farmers in all parts of Rajasthan are going to vote against the BJP. Prices have fallen drastically in all areas and the people are unhappy with the lack of government support. The BJP is going to find it extremely difficult to return to power,” said Gupta. Also read: Will Vasundhara Raje Continue to Give Precedence to Her Son’s Political Career? 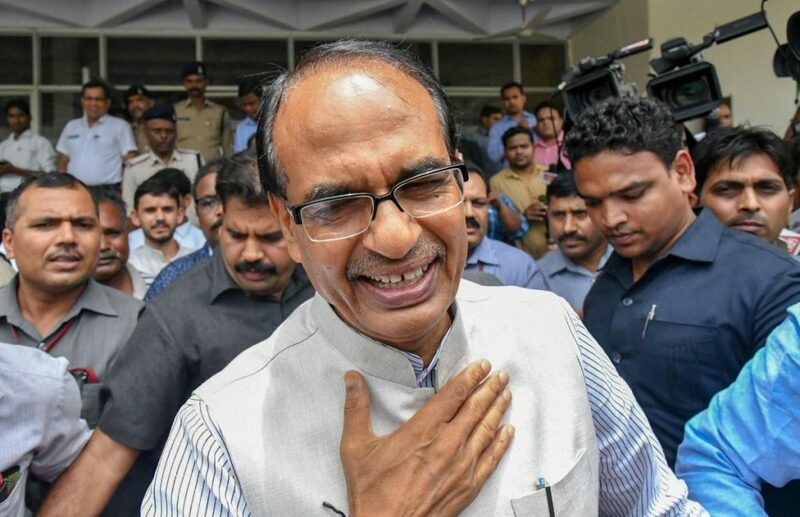 The political fallout is less certain in Madhya Pradesh, according to N.K. Singh, a political analyst based in Bhopal. “There are serious issues which farmers have faced in Madhya Pradesh. But the Shivraj government has focussed heavily on addressing the issues. They have introduced policies which have benefited farmers to an extent. 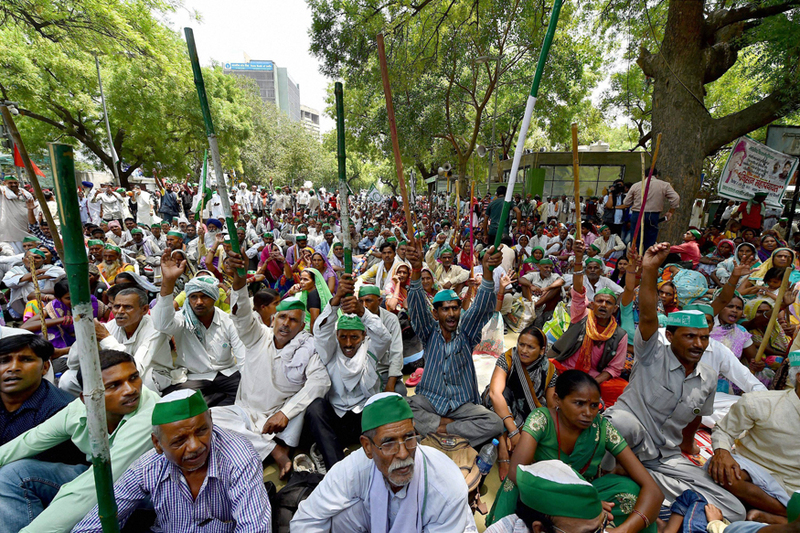 There is still a large number of farmers who are angry with the government. But there is also a substantial number in favour of Shivraj who they believe has brought them benefits,” said Singh. The Congress, however, is trying hard to piggyback on rural distress and propel itself to power in the state. It has promised farm loan waivers – like it has done in Rajasthan. However, party members recognise that the journey to Bhopal is going to be more difficult than the one to Jaipur. 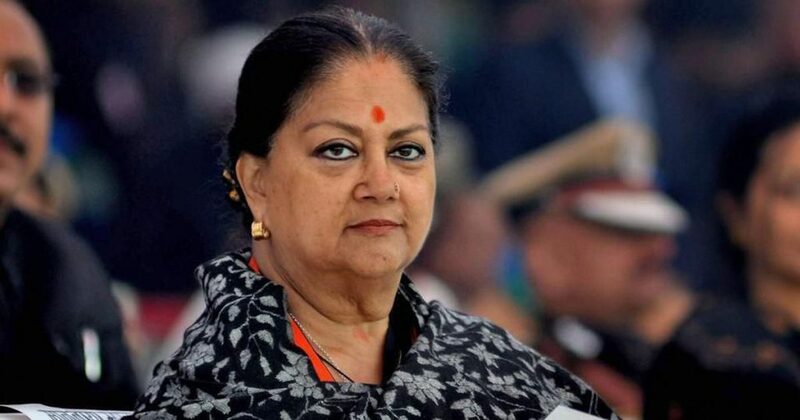 “In Rajasthan, there is anger against Vasundhara Raje. She is extremely unpopular. But Shivraj Chouhan remains a popular leader in Madhya Pradesh. That is the difficulty that we face here. There is also less clarity on who the Congress leader in Madhya Pradesh is. It is a little more complicated in Madhya Pradesh. But there is a good opportunity. If we are able to campaign effectively leading up to polls, we could swing voters in our favour,” said a state Congress leader who wished to remain anonymous. 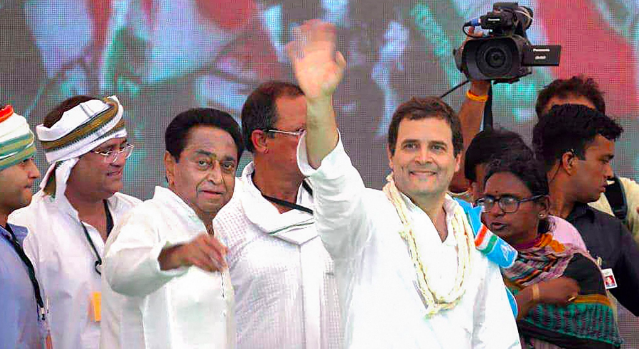 Local Congress leaders in Madhya Pradesh are going to voters with the promise of better management of the rural economy. “The BJP government has only worked for the benefit of the traders. The Bhavantar scheme benefits only the traders. We are telling voters that if we are voted to power we will reform the mandi system. We will make the entire system more transparent. Mandis will be better regulated. Traders will not be able to exploit farmers. 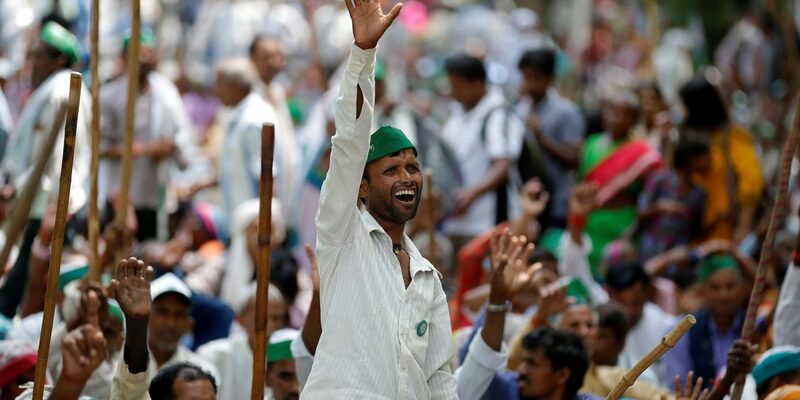 And farmers will get a better price for their produce,” said Kedar Sirohi, president of Madhya Pradesh’s Kisan Congress. “It remains to be seen how successful we are electorally. But we will ensure that rural distress and issues of farmers are front and centre leading up to the Lok Sabha elections,” said the Congress leader quoted earlier.